Umeed - Hain | Saurav Mukherjee | OK Listen! The song Umeed Hai portrays the emotion of hope and zeal to conquer the world amidst extreme difficulties. The song is written, composed and arranged by Saurav Mukherjee. The song was written randomly on busy Thursday afternoon in office when Saurav wanted to write a song to inspire himself. The song was born through the first few lines scribbled on an office diary and the dream to inspire people with the song had already taken over. 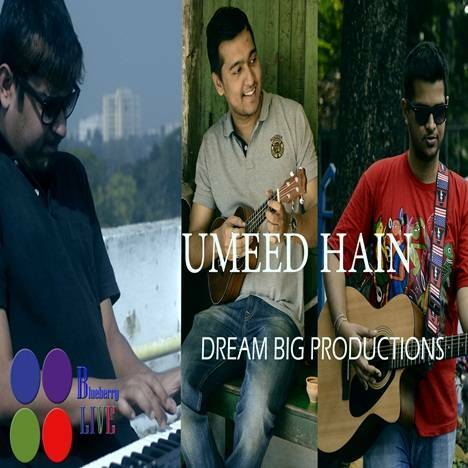 The other members joined in and it was not long before that Umeed Hai was ready to fly off. The song features Nilanjan Maitra on vocals, Saurav Mukherjee on guitars, Abhinava Chatrerjee on Keyboards and Sudip Saha on Bass.